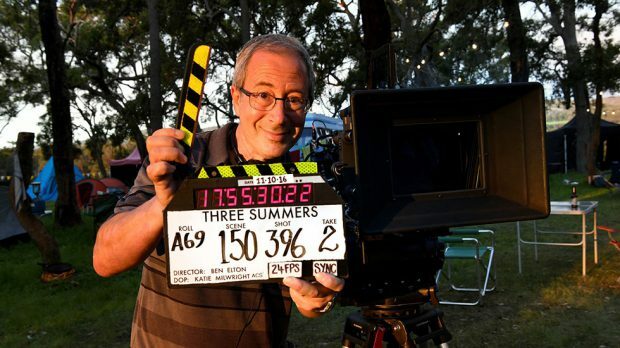 The latest Australian film Three Summers sees Ben Elton (The Young Ones, Blackadder, We Will Rock You) return to the director’s chair for the first time in 18 years. Not that the novelist, lyricist, playwright, stand-up comedian and script writer has been idle this time – having written numerous novels, a couple of scripts, and one or two smash hit musicals in the interim. However the WA filmed comedy romance about a theremin player and a violinist, set against the background of a local folk music festival, sees Elton back again with a project that he conceived and wrote himself. DAVID O’CONNELL sat down for a chat with Ben Elton about what inspired this comedy, and how the artist handles his multi-faceted career. How did you come up with the idea for Three Summers? Well, I always have an ongoing antenna for funny situations and funny stories. It is not like I’m looking for them, they just come to me. I think Woody Allen expressed it well for all comic writers, “when I write a joke I’m hearing it for the very first time”. So for me this whole comic setup, of setting a whole bunch of stories at a festival, just popped into my head… but I was sitting at the Fairbridge Music Festival at the time. I sat there thinking how funny it is that we all meet up for one weekend a year, and I’m thinking one weekend a year all the these lives bump into each other, but for the rest of the time we could be entirely different in terms of politics, sexuality etc… but we’re all equal in the cue to the portaloo. I got very excited very quickly, because you are always looking for great ways to get characters to interact, and I think a music festival is perfect, because everyone always likes music. 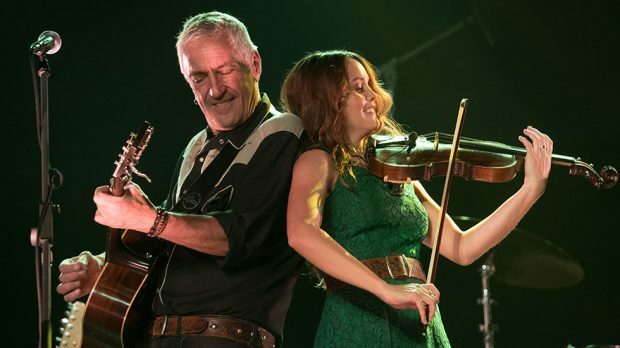 You know a stock car festival or a rodeo wouldn’t be the same thing, because that’s a certain sort of fan, but a folk festival – well everyone goes to those. What made you set a violin and a theremin as the Romeo and Juliet of the music world? Well I wanted a romance. I had this idea that I wanted it multi-layered and multi-storied, but you need to have some sort of through-line, so I wanted to put a romance at the middle of it, because I am very romantic. And because it was set at a festival, and I’ve been around musicians all my life (my wife’s a bass player), it was obvious they should be musicians. And two mismatched musicians, because arguments between musicians can get very heated. Hell has no furry like two jazz fans disagreeing over Miles Davis. So I thought it would be fun to have two musicians that disagree particularly if one was a real purist. An anally retentive purist musician, so I thought theremin. My brother-in-law plays one, it is a bloody ugly instrument, a bit of fun, but it’s a gimmick. But like most theremin players he is defensive of it. So I thought that would be a very funny character. It is not based on him… certainly he’s not as handsome as Robert Sheehan. Then I thought let’s put that against a very folksy and organic fiddle playing chick. She is very free spirited and he is closed minded-and it works. Mainly because Robert and Rebecca (Breeds) make such an attractive couple. You want them to get together, even though they are going to have to jump through a lot of hoops before they do. There’s a bit of a political message here, what is it about comedy that allows people to examine those issues, where they might find it more difficult to accept in other genres? Well it’s certainly not me meaning to do that. It is not me going “we need to be more open minded about our attitude to refugees, I’ll nail some jokes on that and slip that in.” Definitely not! I write things that interest me. It could be two mismatched musicians in love, or it could be a refugee boy lost and alone at a music festival learning about this strange country. All of this is a grist to my storytelling. I think comedy is better if it is about interesting and important things. I always think it very strange that the Greeks made this division between comedy and tragedy. They specifically said that tragedy was very important, and comedy was a few little crude knob gags. For me human tragedy is comedy. Chaplin showed us that. Dickens showed us that. There’s no political message in it, there is merely a commitment to telling really good stories, and getting great laughs. So what was the highlight for you, of shooting Three Summers? 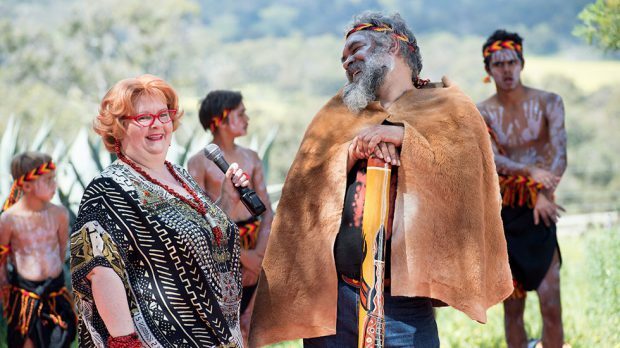 The highlight for me was the eve of the shoot when Koodah (Cornwall) and a whole big mob (The Bindjareb Middar Dance Group) from the Noongar mob down in Pinjarra, invited us into the bush for a smoking ceremony. We made our own fire (which is immensely satisfying, but very difficult to do), we danced, the didgeridoo played and we were welcomed. That was a very special moment, we were all doing the Chitty Chitty dance under a huge sky. It was a very moving moment, we felt a responsibility to do justice to the land we were filming on. You obviously wrote a number of roles with specific Australian actors in mind. Did you get everyone you wanted to? Yeah, the casting was a truly dream process and I took great comfort in that, because you don’t get the likes of Magda (Szubanski), Michael (Caton), and Deb (Mailman) and John (Waters) because… you don’t get them if they don’t like the part, because we’re not doing it for the money. So once I had written the script, I did have some dream casting in mind. 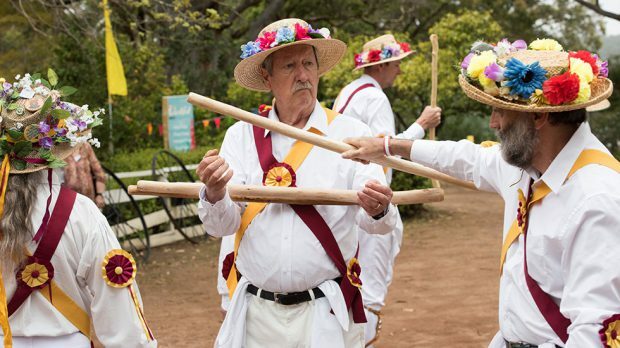 I can’t imagine anyone but Magda playing Queenie, and Deb is this wonderful warm-hearted person running AA, Michael Caton came on board to play a Morris dancer! It was a confidence builder, as I was very aware that I was writing Australian stories, and this was the first time I’d done that. Stark was very much a pom looking in. Here I’m writing about my own environment, it may be my adopted culture, but it is definitely one I’ve become a part of. Everyone embraced the project. You’ve obviously got a lot of irons in the fire. You’re a playwright, novelist, lyricist, script writer, stand-up comedian, and a director. How do you find shifting between those varied facets of your career? It’s all about being a writer. When I’m a comic, I’m a writer. When I’m a lyricist , I’m a writer. But when I’m directing for a film (or television, or theatre), I’m still really there as a writer. I still think I’m best suited to direct the comedy I write. I take a lot of criticism, but I listen, to the producers, the actors – I listen a lot to the actors – but in the long run I’m the arbiter. I love to direct most of all, being a part of that community, but I don’t think I’d be interested in doing it if I hadn’t written it. For me the joy is the whole creative process. Directing movies is a true privilege. The director should be the humblest person on any set. You have a vision and a hundred wonderful artists and technicians work towards achieving it. Any director should be truly humble and grateful of being the recipient of this extraordinary community.